Area Portable Serivces is leading the industry with well-maintained portable restrooms and temporary fence. For inquiries call us at (916) 770-7760. The Septic System is an essential component of any home’s value and shouldn’t be overlooked. If the toilets flush and the water drains out of the sink that everything is working fine, but that doesn’t necessarily mean that everything will be working tomorrow. All buyers of new homes should always have a thorough real estate septic system inspection before purchasing a home to ensure the health, longevity and any past known defects. Failing to inspect and discuss the septic tank system with the owner could cost you thousands of dollars after you own the property. Be septic smart and do your part! Homeowners- Rule of thumb, always get your septic tank pumped out every 3-5 years to prevent failure. Save time and include a septic inspection to give you piece of mind. Buyer- Benefits from the inspection by having all the necessary facts to make an informal decision and knowledge of a proper working system. Seller- California law requires all sellers to disclose any known defects relating to their property by obtaining a report. It prevents your buyer from claiming that they were not informed about the septic system “true” condition. Real Estate Agents- Getting the inspection will help with the transaction and the process between the buyer & seller. Provide the most accurate information possible about the septic system age, location of components, type of components, service and repair history you can. You may not know all these things but the more you know will be helpful on the septic report and the less speculation will be involved. 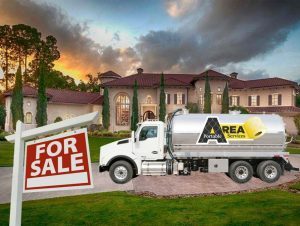 Speculation by a septic system inspector, in the absence of actual information, can lead to worst-case guesses or warnings to a buyer, issued not so much to protect the buyer as to protect the septic inspector – to reduce risk of a buyer’s later complaint about the inspector’s diligence. Many national lending institutions and mortgage companies require inspection and certification prior to funding. Note, most appraisal and safety inspections do not include a septic system check. California residents who live in areas where the homeowner is responsible for individual water treatment must install and maintain a septic system that adheres to guidelines set forth by the California Environmental Protection Agency and the State Water Resources Control Board (OWTS) Onsite Wastewater Treatment System policy. Assembly Bill 885 amended California Water Code section 13290, which required the State Water Board to develop statewide standards or regulations for permitting and operations of OWTS. To allow continued use of OWTS, while protecting water quality and public health. You can request a plot map from the county to show location of tank and the age. Most septic tanks last between 25-30 years depending on usage and routine maintenance. Basic gravity-feed septic system can cost as little as $4,000 to replace, but if your system requires electrical or mechanical parts of function correctly, then your replacement cost can range anywhere from $15,000-$30,000. When the appointment is set for the septic inspector to come out, make time to be there and watch how things proceed. This commitment to the sale is important. This will eliminate any chance of collusion between real estate agent, inspector and homeowner. Everyone involved wants a fast sale and this is one you don’t want to shortcut to come at your expense.